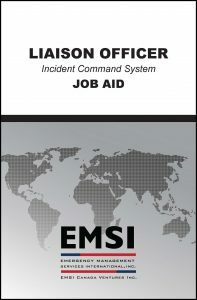 Serving as an introduction to the position of Liaison Officer (LOFR), ICS-402 is intended to enhance and exercise the student’s knowledge of NIMS and ICS as it pertains to performing the numerous duties of the Liaison Officer throughout a response. This course provides government and private industry emergency responders with a robust understanding of the duties, responsibilities, and capabilities of an effective Liaison Officer on an Incident Management Team (IMT). This course is an instructor-led training that supports learning through discussion, lecture, and active participation in multiple exercises that provides a realistic, hands-on approach to mastering the skills required of a LOFR. Responders who may be assigned duties as a LOFR during an incident. The course material does not assume or require experience as a LOFR, but also is not a basic LOFR course. Incident experience as a Liaison Officer and/or on an Incident Management Team is also desirable.